Alright, let me compose myself. 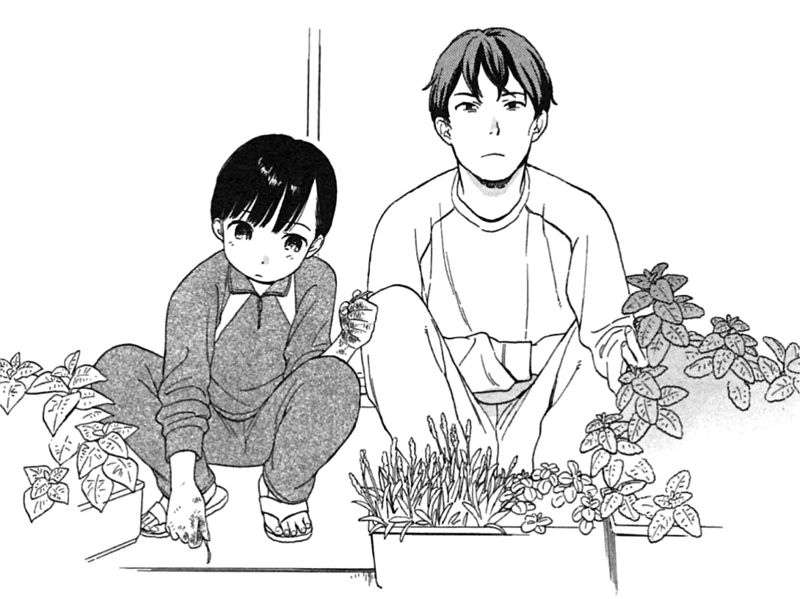 Sen to Man is a pretty basic slice-of-life manga about a single dad and his adolescent (I assume she’s like twelve, thirteen?) daughter. A tried and true premise to be sure, considering the popularity of the genre and its ilk. 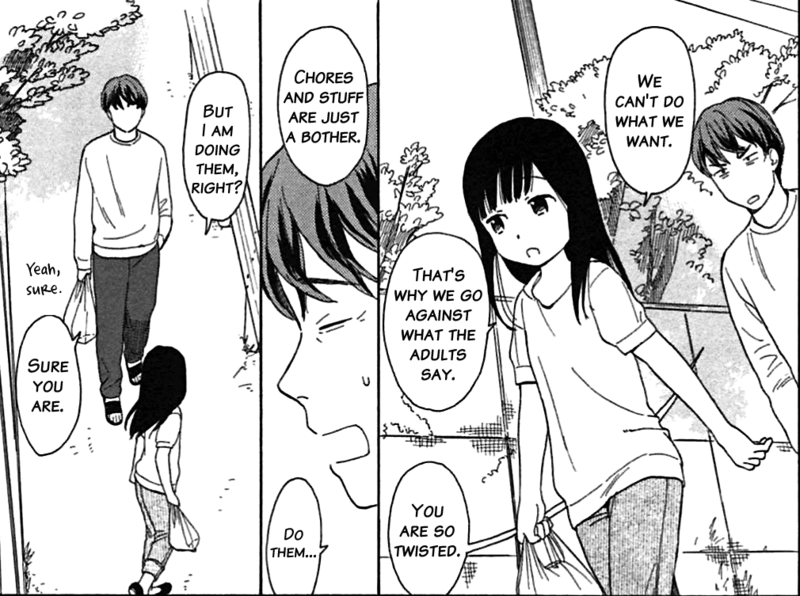 Fortunately, this manga doesn’t have the unshakeable idealism of Yotsuba&! or the creepy “gonna marry my daughter” vibe of Bunny Drop, filling its own kind of weird spot that I can only really describe as “realistic”. Yotsuba, while excellent, carries a little too much childlike glee for me to think of it as a reflection of reality. In Sen to Man, it seems to me that if a single dad had to deal with a cheeky tween daughter who’s a little too independent for her own good, they might act exactly like this. For example, one chapter is a fairly tactful handling of Shima getting her first period and her dad being unsure of how to handle it properly, up to the point of him sneakily checking the internet for advice. Another has her feeling awkward when playing with a friend who has a doting mother, unfamiliar and uncomfortable with the sudden attention. And now I’m realizing I’m making this manga sound pretty serious, when it’s really not… Uhhh, there’s also a chapter about ordering pizza! That’s cute slice-of-life, right? Considering the amount of terrible or otherwise just plain unhappy stuff I tend to find for this feature, Sen to Man is a breath of fresh air. It’s just a regular, cute slice of life manga that doesn’t have any real frills, but sometimes that’s what you’re in the mood for. And really, not much can hold a candle to an honest depiction of the simple, unconditional love a parent has for their child.